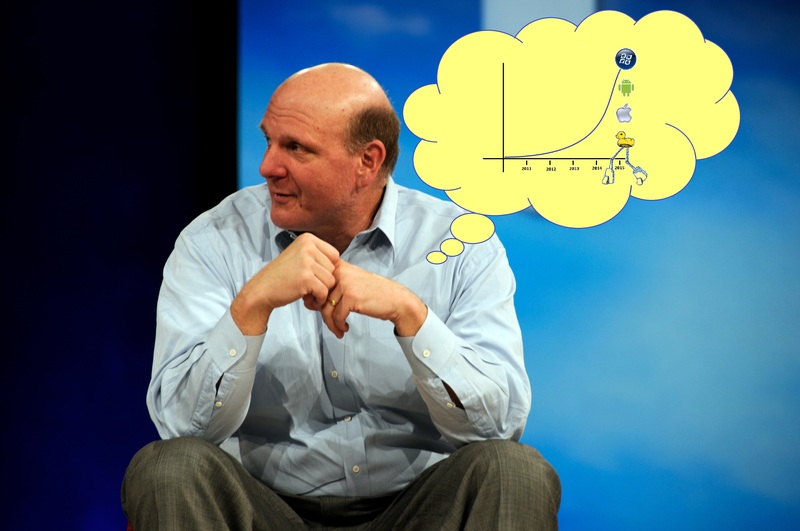 Er, is this “analyst” Steve Ballmer? As a Nokia fan we can only hope, but a realist I’m like, hang on a minute there. Seems that these mobile “analysts” are making wilder and wilder claims about Windows Phone 7 in somewhat of clear optimism. Whereas Gartner and IDC both agree and believe that Windows Phone will top iOS and BlackBerry sales, only second to Android, BGR reports that another source, “Senior Analyst and Practice Leader for Mobile Devices, Stela Bokun”, reckons that within similar time frame, by 2015, Windows Phone will BEAT Android and the rest to be the top selling smartphone OS. This is not a transfer of users from one platform to another but the capturing of NEW smartphone users as this arena doubles by 2015. Smartphone sales apparently will amass to 1.47 Billion, but still makes up only 27% of the entire handset sales. Erm. OK. Based on the much publicised “poor sales” of Windows Phones, with Nokia no where near putting out a WP handset any time soon, you’re very right to have your concerns. Harangue has an excellent post coming up to talk about these “poor Windows Phone” sales, to explain perhaps another perspective than mere numbers for numbers. Is the market too tough now for a newcomer? Where was Android 2 years ago? 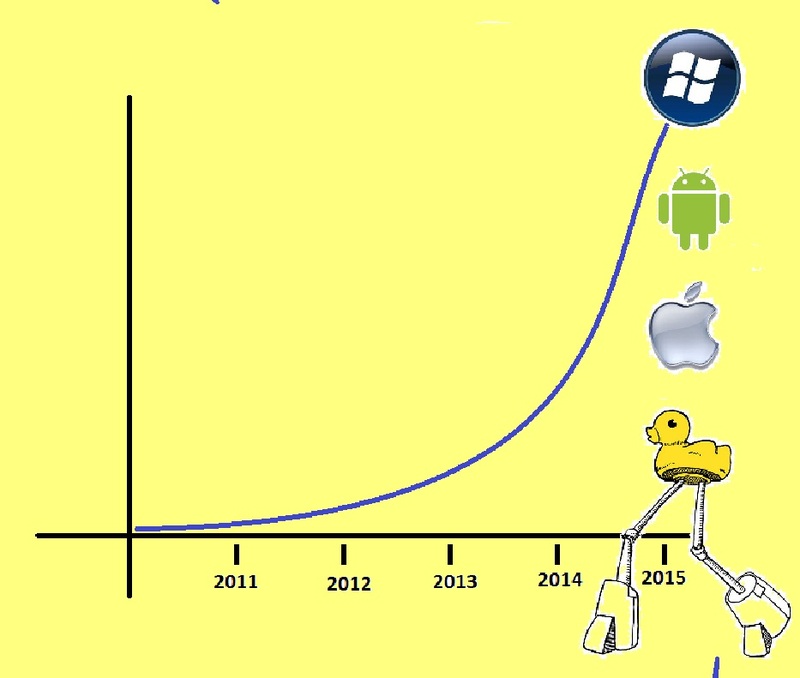 How accurately can anyone predict the outcome in the mobile space FOUR years on? BTW, where is this piece from Bokun that BGR’s Zach Epstein is referring to? I can’t seem to find the link in the article. Stela Bokun is a Senior Analyst with Pyramid Research, as well as Mobile Devices Practice Leader. Based in the Pyramid’s London office, Stela is responsible for assessing market opportunities, market intelligence, forecasting and modeling market trends across numerous European communication markets. Stela is also in charge of coordinating all of Pyramid’s publications related to mobile devices. « Video: The Amazing Nokia BH-505 available in Red, Green, Black (and Blue?!) – now only £35.99! Bargain!